For the past...while, I had a, er, faulty light switch I was trying to change. 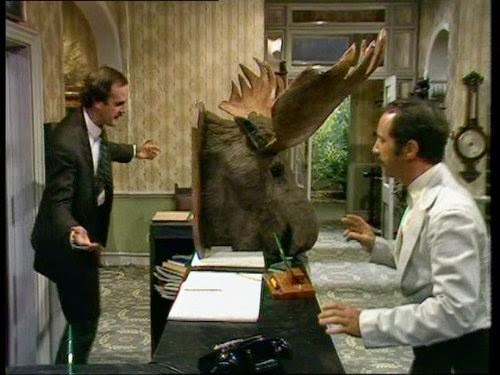 Oh, to be sure, removing it was fine....but getting the new one, installing it and having it work...well, let us just say I had a bit of John Cleese going on. Today, I finally got a switch and set to installing it. Didn't work. After several retries, I gave up and had a master electrician we know call me...he figured my error in about 15 seconds. 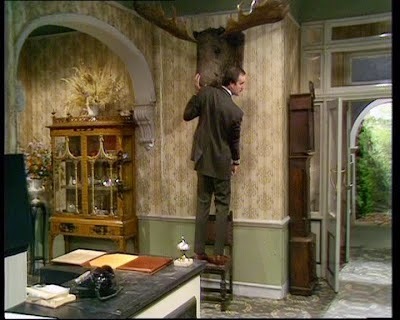 So unlike Basil Fawlty, I finally got my job done.